Palawan has been recognized among the Top Island Destination in the world in a poll conducted besting a total of 247 other islands throughout the world.. The survey was conducted Conde Nast Traveler in the 27th annual Reader’s Choice Awards. The island of Palawan beat other world-famous islands such as Bora Bora in French Polynesia which ranked (25th), Maldives (19th), Bali in Indonesia (17th), Bermuda (14th), Santorini and Cyclades in Greece (7th), and Maui in Hawaii (3rd). Palawan was voted as “Top Island in the World,” because of it’s world-renowned underground river and other tourist destinations in the island. According to the US Travel Magazine, a total of 76,600 readers cast their votes for the title. 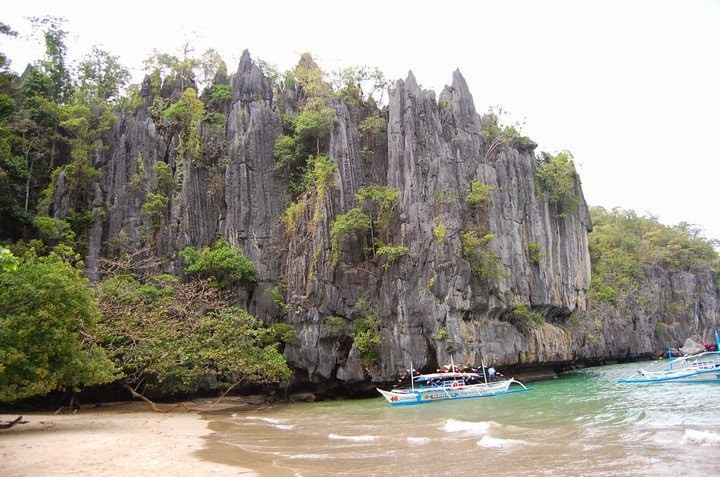 The Philippines entry, Palawan island, was given a rating of 88.750 by the readers. Palawan gained international fame when its Puerto Princesa Subterranean River, said to be the longest navigable underground river in the world, traveling five miles through a subterranean cave system. Guided boat tours take visitors down a portion of the waterway, where karts, natural rock formations created by dissolving limestones loom in every direction,” the magazine stated. It was recognized as one of the New Seven Wonders of Nature in 2012. The announcement, declaring Palawan as the Top Island in the World was released by the magazine through their official website on Monday, October 20, 2014 (US Time). Aside from the island of Palawan, the Boracay island in Aklan province was also included in the ranking at No. 12 and was given a rating of 82.683. Floyd now serious about fighting Manny after son calls him “coward”?